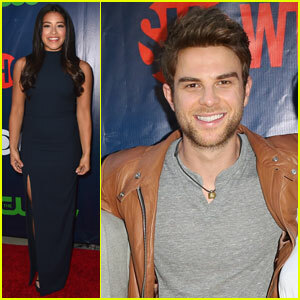 Gina Rodriguez & Justin Baldoni Promote 'Jane the Virgin' Final Season at PaleyFest 2019! Gina Rodriguez cozies up to co-star Justin Baldoni on the blue carpet at the 2019 PaleyFest on Wednesday night (March 20) at the Dolby Theater in Los Angeles. 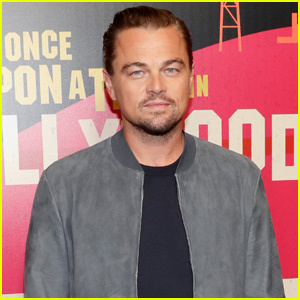 The 34-year-old actress looked pretty in a black blouse and leopard-print skirt as she stepped out to promote the final season of Jane the Virgin. Other cast members at the event included Brett Dier, Yael Grobglas, Jaime Camil, and Andrea Navedo. The fifth and final season of Jane the Virgin premieres on Wednesday, March 27 at 9pm ET on The CW. Zoe Saldana Gets Star-Studded Support at Eva Longoria Foundation Dinner Gala Honor! Wilmer Valderrama, Maia Mitchell & More Celebrate Latino Artists at ALMAs 2018! 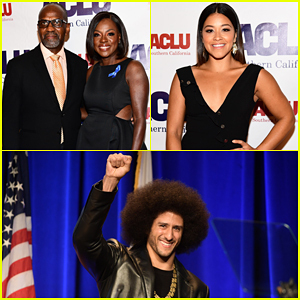 Viola Davis, Gina Rodriguez & More Help Honor Colin Kaepernick at ACLU Bill of Rights Dinner 2017! Eva Longoria Gets Star-Studded Support At Eva Longoria Foundation Dinner 2016! Heidi Klum Makes It A Family Affair At A Time For Heroes Festival Benefit 2016!